When our mind and will are free, they recognize only Truth. Our mind and will are free in the Knowledge of Union with Perfect Love. When we are in the state of One Mind and Will of Perfect Love, we create Freedom and Truth for ourselves and All. Have you ever feel like a 1+1=2 person, in a differential equation world? Or, is that…have you ever felt like a differential equation in a 1+1=2 world? You see, I am all kinds of messed up today. The guiding thought was my equivalent of a differential equation for my 1+1=2 brain. No, I do not have a clue how to read differential equations. No, I did not have a clue how to read the Guiding Thought today. I did my best, though…and I think I even made some headway, but dang if I could tell you what it is. One of my practices is the spiral dance, a mathematical moving meditation (yes, I like math, but I am not at all advanced in it). One of the principles in the spiral dance is: always keep yourself challenged. The meditation is based on repeated movement patterns, which can be represented mathematically. As you probably know, once you perform a pattern enough times, it becomes easy, even if it was very difficult to begin with. Once one of the patterns of the meditation becomes easy, then the person doing the practice must make a choice to make it harder. The idea is that if you aren’t challenged, you are not improving, not advancing, not evolving. So, I understand what it means to give myself a challenge. I understand the value of making things harder. I understand that working on something that is really hard, makes me evolve that much more rapidly. That is also how I know how valuable today is. It’s really kind of ironic. I feel so uncomprehending that I just know I must have evolved today. Did you feel the same way about the Guiding Thought? As though it is so deep and complex, that it will take real concentration to understand it…but eventually you will? *BOLTZMANN’S ENTROPY FORMULA: Ludwig Boltzmann was the Austrian physicist who gave entropy its statistical foundations. 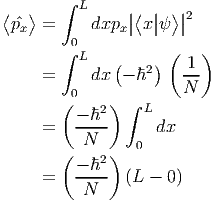 The equation describes the relationship between entropy (S), and the ways particles in a system can be arranged (k log W). This was the only equation I could find that did not have special characters and could be typed in the title bar.